The world has found Ubud. In the last twenty-five years, Ubud has gone from a quiet mountain town to an international destination. Where once there were only humble shops, local warungs and traditional accommodations, now these exist alongside upscale boutiques, trendy restaurants and luxurious villas. There are many aspects, both positive and negative to this kind of growth. As a location that hosts many tourists, the city offers the familiar when it comes to necessities. Western toilets are common, though hand washing is done with cold water and anti-bacterial soap. Banks have many locations with ATMs inside air conditioned cubicles as well as in convenience stores. We also had no trouble purchasing a sim card with data plan for very little cost. Bottled water is readily purchased and our guesthouse provided a five gallon water cooler with purified water which the staff replaced for about US$3 upon request. In our room we also had a small TV with cable channels including English ones and a DVD player. We had internet that worked pretty well much of the time. One of the first things we heard about Ubud was that it is considered an art and cultural center, but we were unclear as to exactly what that would mean to us. We both enjoy art but felt that we had seen enough museums to last a lifetime. 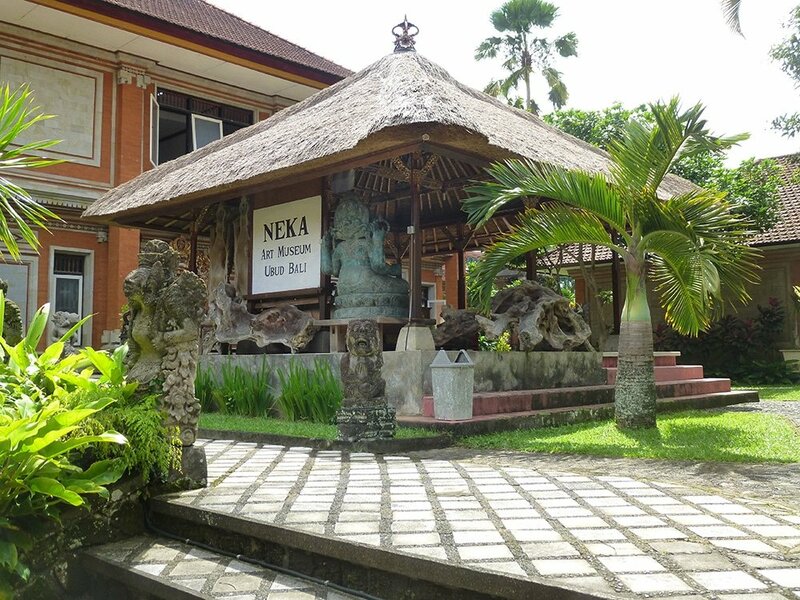 Then we decided to spend an hour in the Neka art museum in Ubud and were immediately captivated by the museum, the grounds and the collections. We both agreed that we could not remember seeing so many works of art that moved us and we ended up spending the whole day. 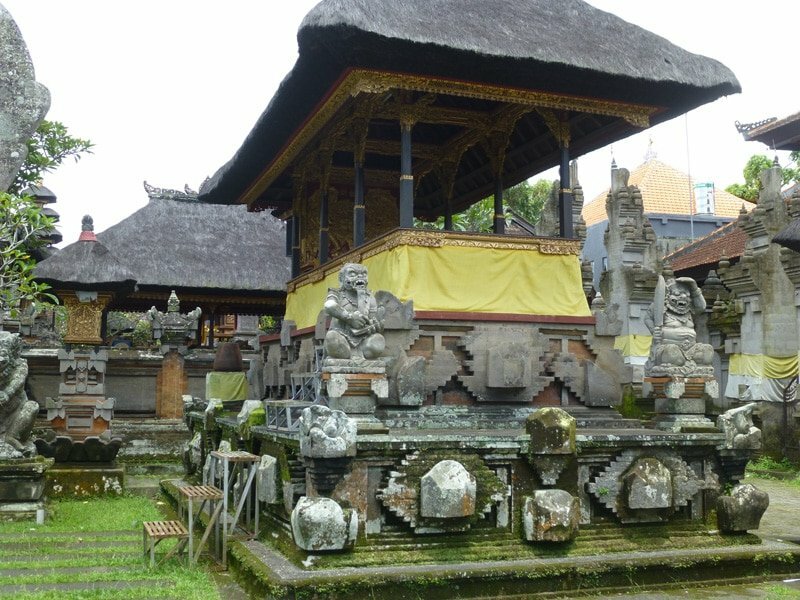 There are other excellent museums in Ubud as well as many art galleries. For lovers of dance, there are performances almost every night where you can watch classical Balinese dance as well as many popular forms. Gamelan music, a traditional form of Indonesian music, is performed with many dances. Performances using Hindu stories are also popular, as is Wayang Kulit shadow puppet shows, a heritage of Balinese culture. In Ubud, you can find contemporary musical entertainment in many clubs and discos as well. Yoga is synonymous with Ubud and there are a number of yoga studios throughout the region. There are yoga classes for all levels and styles. You can attend daily classes, retreats, or just drop in to classes that look interesting. Yoga teacher training is also available. During a walk on the streets of Ubud, we couldn’t fail to notice numbers of fit folks in body hugging outfits with yoga mat strapped to their backs. The studio we attended provided mats and props, though we wished we had packed some to use in our room. You can take lessons in just about any artistic discipline or craft in Ubud. There are lessons in wood carving, painting, ceramics, silversmithing, batik, weaving, Balinese and Indonesian cooking and more. You can learn such diverse things as playing a traditional instrument, study traditional dance, craft Balinese offerings, attend a writing workshop, or become certified as a yoga instructor in Ubud. We were able to rent a Balinese style room with king sized bed, en suite bath, and furnished terrace in a beautiful guest compound with shared kitchen and daily maid service for about US$700 per month. Our motorbike was leased to us for US$50 for the month. We dined at clean and friendly warungs on our village street on delicious, homemade Indonesian dishes for about US$5 per person including drinks. Fancier meals in upscale Ubud cafes and restaurants were only slightly more expensive. Laundry warungs are easy to find nearby most accommodations and the cost to have a weeks worth of clothes washed, dried and ironed costs about US$6 for two people. We loved our freshly ironed shirts and pants, though things did sometimes come back with a new stain. The laundress was accommodating of our request for no perfume after we found that our first batch of laundry made our eyes burn from the scent. Taxi rides are an inexpensive way to get around and you can rent a car and driver for about US$50-70 for a whole day of sightseeing if you want to. 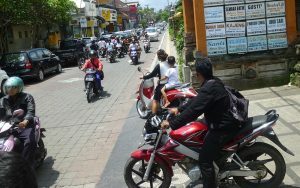 Drivers are everywhere in Ubud, and anyone with a vehicle will ask if you want a taxi when seen walking down the street. These folks are good-natured and no pressure and will chat and ask where you are staying as well as giving directions. We wondered what the motorbike drivers were planning to do with two adult Americans on the bike behind them. Despite the crowds, there is usually no shortage of places to stay in Ubud. Ubud’s accommodations run the gamut from home-stays in family compounds to private villas with pool and included housekeeper, cook and gardener. It is easy to book online at sites such as TripAdvisor, Agoda and AirBnB. 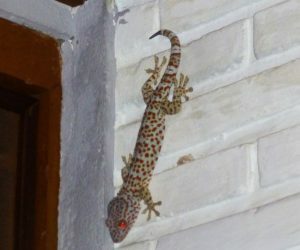 Once in Ubud, you can also find plenty of lodgings by perusing bulletin boards and on the Ubud Community Facebook page. We stayed during the rainy season, so a trip during the most busy times might require more research. There are some annual festivals in Ubud that have become quite popular. Still, on any given street we saw multiple signs for Homestay with Breakfast in family compounds. Photos posted showed lovely accommodations with western bathrooms, terraces and comfy beds with mosquito nets. tos, trucks and large groups of pedestrians making travel difficult and sometimes harrowing. Neil has a motorcycle license and has driven in the legendary traffic in Los Angeles but was totally unprepared for the narrow, potholed, village streets. There are few traffic signs, no signals and local drivers routinely pilot their motorbikes with little regard to rules of the road, and with what seems like wild abandon, passing slower moving vehicles on both sides, even on blind curves, squeezing them between double parked cars, school children, old women walking with large parcels on their heads and befuddled tourists. Wherever you go in Ubud, the rumble of motor vehicle traffic is a constant background presence far into the evening. Motorcycles and motorbikes in particular zoom loudly by and are heard even in the more rural countryside. Because construction seems to be always underway, the whine of power tools, hammering and the sounds of bricklaying are part of the fabric of our day whether napping in our room or dining in a warung. nse from the offerings. He exclaimed “yes! that is Bali!” with a beautiful smile! In the evenings Gamelan music can be heard wafting from nearby temples and out in the rice fields where we are staying, we always hear the crow of roosters, the barking of neighborhood dogs, the buzz of insects, the singing of frogs, and the cry of the Gecko lizards. Additionally, we have experienced the explosive bang of thunderclaps and the pounding of rain during quite a few thunderstorms. Music in the neighborhood might come from someone playing saxophone to the sound of music videos or traditional bamboo instruments. Our nearest warung favors the music of Nora Jones in the evening. Despite all this tumult, the tapestry of sounds at night has rarely kept us awake, as we have learned to tune out the more unpleasant noises and let the sounds of nature lull us to sleep. Wherever we look, we see natural beauty. The verdant green rice fields, the lush landscape along the streets and family compounds, and the colorful flowers and fruiting trees in the jungle bordering the rivers, delight the senses. The brightly hued geckos, butterflies, dragonflies, roosters and birds are part of this riot of color. 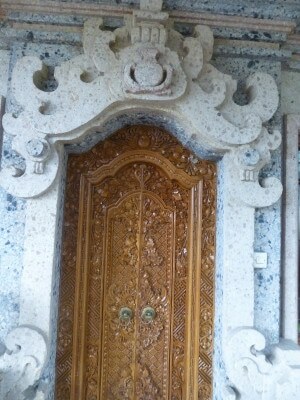 The people of Bali create art in everything they do. Their doors and woodwork are beautifully carved; the metal gates on their home compounds are carefully designed and constructed; their homes are built with lots of intricately carved stonework and woven bamboo. The Balinese world renowned textile designs include woven ikat and batik and these lovely fabrics are seen in daily use, whether in a sarong for ceremony, the covering on a massage table, a head wrap, pillows, quilts, even sheets and pillowcases. In almost every village there is a specific craft that the children begin to learn at a young age and is passed on through the generations. The daily routine of Balinese women, both at home and work, includes the creation of traditionally crafted offerings (canang) placed with prayer and intention. Made of natural materials, incense, flowers and rice, these elegant hand-made creations are works of art in themselves and are found everywhere you look, in and around temples,homes, businesses, cars, motorbikes and on the streets themselves. Although Ubud can be really hot and humid, most nights are pleasant for sleeping. It is cooler outside the town in the rice fields, away from the congestion and narrow streets lined with buildings. 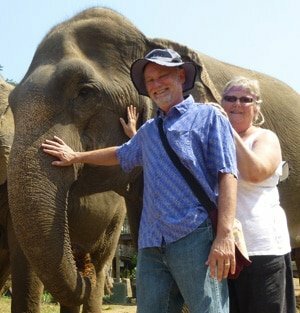 We visited Ubud during the rainy season, and were grateful for the rain that cooled things down. In the middle of the afternoon is usually when Ubud is at it’s warmest and we found it a good time to take a rest. The benefit of the tropical climate is that the market is full of wonderful, delicious fruits, like mangosteen, pineapples, oranges, papayas, mangoes, jack fruit, bananas, avocado, durien, rambutan, and coffee beans, as well as mounds of fragrant, richly hued flowers. If we wanted to be even warmer we could head for the beach, but this is the kind of thing to plan for an overnight stay or even a few days. Beach accommodations are plentiful and the water is warm, but we were disappointed by the amount of trash in the water and on the shore when we visited a north shore beach for some snorkeling. From children to old folks, every greeting of a simple hello evokes a smile. The Balinese people in and around Ubud smile freely and sincerely and their faces are alight with beauty from within. They especially seemed to appreciate our attempts at using Balinese and Indonesian words and phrases. 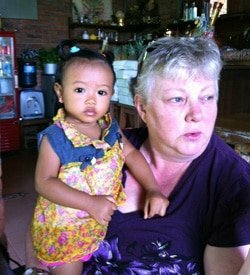 There are those that only know enough English to elicit work as taxi drivers or sell sarongs and souvenirs, but many are genuinely interested in communicating with us and having a cultural exchange. We were impressed to learn that most locals already speak the Balinese language and Bhasa Indonesia. English is then their third language. And we saw many guides speaking to tourists from China, Japan or Korea. English is on most menus and the descriptions at museums are in English, too. We did not expect to see the local language using our same alphabet. This makes it very easy to sound out most of the Indonesian words! A “C” is pronounced as “ch”, which is good to know! As a major tourist destination, Ubud is a place where many Balinese see the advantage to speaking English. Whether asking for directions, ordering food, or negotiating a purchase, it is generally pretty easy to be understood. We were fortunate to meet a number of Balinese who knew enough of our language to have interesting conversations and they showed a real desire to discuss current events, cultural differences and to share their values, ideas, religion, and even philosophy. Living in a small village, we enjoyed ongoing relationships with some folks in the family run warungs nearby. Within a short time, we found ourselves sharing humorous moments and connections with staff and family members. Local cuisine is the best deal in Ubud, but you can get just about anything here. Food is served freshly made and none of the ingredients have been hanging around for long. We had the freshest fruits and vegetables here. Coffee is readily available. There are many kinds of tea, both caffeine tea and herbal. There are clean simple and open air warungs everywhere, each with their own recipes for the traditional fare, modified for tourist tastes. We also ate in some restaurants where we could have spent $20 per person or so for something fancy. We didn’t and we were never hungry and rarely disappointed. Had we craved Italian, French, Chinese, Thai-it was all available somewhere. We stuck with the local fare and an occasional trip to a more upscale locale for a really good salad or seared tuna. Local foods are seasoned with lemongrass, lime, ginger, pepper, and various sambals, from mild to fiery.In the market they sell the spices they use, Turmeric, chilies, cinnamon, cloves, and many kinds of ginger. Sweetness is added with palm sugar, cane sugar or local honey. One of our favorite drinks was made with ginger, lemon, sugar and seltzer water. And one of our favorite desserts is fried bananas, lightly battered in rice flour and dusted with coconut and drizzled with honey. Beer is very cheap in Ubud, and we liked the local Bintang. We are not big drinkers so we can’t advise other than to say that folks usually pick up something duty free on the their way into Bali. We could go on and on, but we trust this window into out experience will help you to decide if you would like to learn more about visiting Ubud. There are wonderful books to read, guides to lead you and tours to sign up for. If, like us, you want to know a bit about where you might like to visit, we hope you have learned about what to expect from Ubud. This busy and vibrant city has lots to recommend it. We found it easy to surrender to things we didn’t love, because this is a magical place. Maybe you will think so, too! Very helpful and informative article! Thank you for sharing this insight. These are things I want to know before I travel but rarely have these details provided. Safe, pleasant travels to you! Lovely! Thanks for the great information. So glad I found your blog! 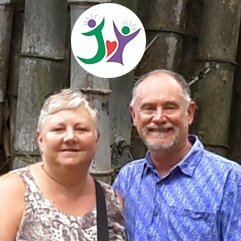 We are planning our first trip next year to Indonesia, and this is great info to help with the details. We found so much to love in Bali! Glad that you found the information helpful. Have fun!